WHY I LOVED IT: I remember this album dropping when I was 10 years old and to my knowledge, the first album I can remember by an all-female band. I’m sure if I did the research there were others before, but we’re talking my recollection here, not Google. “Beauty and the Beat” is early 80’s pop music at its optimum and a vastly underrated debut album. “We Got The Beat” is about as commercial as it gets and I was unapologetically obsessed with it. If I only had a dollar each time I’ve ever played the drums with my hands on the kitchen table to that….. Don’t sleep on less heralded tracks like “Tonite”, “Lust To Love” and “This Town” either”. They are solid, albeit slightly darker tracks. COMMERCIAL SUCCESS: Hate on it if you want but few albums enjoyed more success in 1982 than this, in fact literally there was just one. Beauty and the Beat climbed all the way to number-one on the Billboard Top 200 albums and remained there for a stunning six weeks. It finished ’82 second on the year-end album charts and remains one of the best debut selling albums of all-time. All this despite only two hit singles from it— “We Got the Beat” peaked at number-two on the Billboard Hot 100 while “Our Lips Are Sealed” maxed out at No. 20. FUN FACT: I decided to do some research after all. 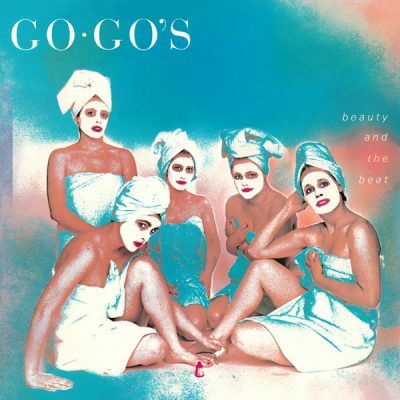 Indeed, the Go Go’s are the first all-female band to play their own instruments, write their own songs and land on a number-one album on Billboard. Also, in an interview with Songfacts, Go Go’s guitarist Jane Weidlin revealed that “Our Lips Our Sealed” referenced a secret love affair.